De Sluwe Vos (The Sly Fox) has made a remarkable impact on the scene these past few years. He’s the perfect example of how hard work pays off. And it is evident, watching one of his shows; De Sluwe Vos truly loves what he’s doing. This pure energy got him to play Lowlands and Pukkelpop for two consecutive years (2015 and 2016), while he also had gigs at Glastonbury (Block9’s Genosys stage), Fuse (Brussels), Ministry of Sound (London), DGTL (Barcelona), Sankeys and Awakenings in Manchester and multiple times at Pollerwiesen. During weekdays he likes to stick to his equipment in the studio. The weekends see him play across Europe in Belgium, France, Germany, Ireland, Spain and often in the UK. Next to playing tons of shows, he also curates the Patron label where he released multiple EP’s. His EP Insert Track Title came out on DJ Haus’s label Unknown to the Unknown, and got major support from Annie Mac. But it was his OG Anthem back in 2012 that got De Sluwe Vos recognized more than ever before. This track marked a pivotal point in his career; productions-wise as well as for his dj shows. His energized sets got picked-up by a bigger crowd and international acts like Joy Orbison, Boddika and Bicep have been noticing and supporting his productions ever since. 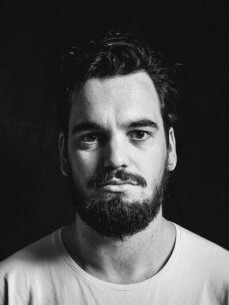 This coming year De Sluwe Vos will continue building his strong brand with Patron, as there are some interesting and fresh releases planned for Ennio (Hamburg), Scott Franka (Manchester) and Baz Reznik (The Hague). And it’s not just releases, but label nights as well, like the first ones together with Ryan Elliott, Marquis Hawkes and Bambounou. While his Kontra album tour, with a full fledged band in 2015, already seems ages away, his second tour still resonates through the underground of the Dutch scene. We’re talking about his ‘All Night Long Tour’ at end of 2016. For this tour he played at eight different clubs in Holland, all by himself, every Friday and Saturday of November. He went from OOST in Groningen, to Basis in Utrecht and from Toffler in Rotterdam to Amsterdam’s youngest club Shelter. De Sluwe Vos took a big risk with this tour, as no other dj had ever done this before in Holland. Fortunately the tour was a big success.